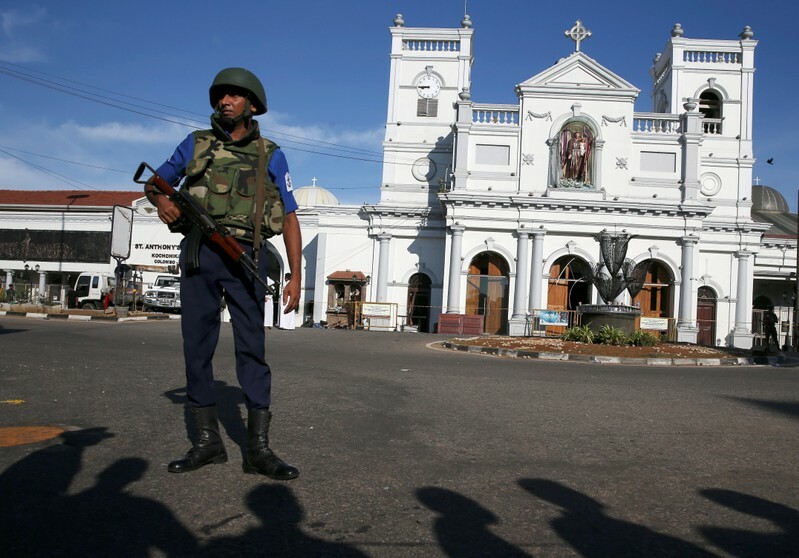 Security personnel stand guard outside a church after a bomb blast in Negombo, Sri Lanka April 21, 2019. REUTERS/Stringer NO RESALES. NO ARCHIVES. COLOMBO (Reuters) – The death toll from attacks on churches and luxury hotels across Sri Lanka rose significantly to 290, and about 500 people were also wounded, police said on Monday. The death toll overnight had stood at 207. 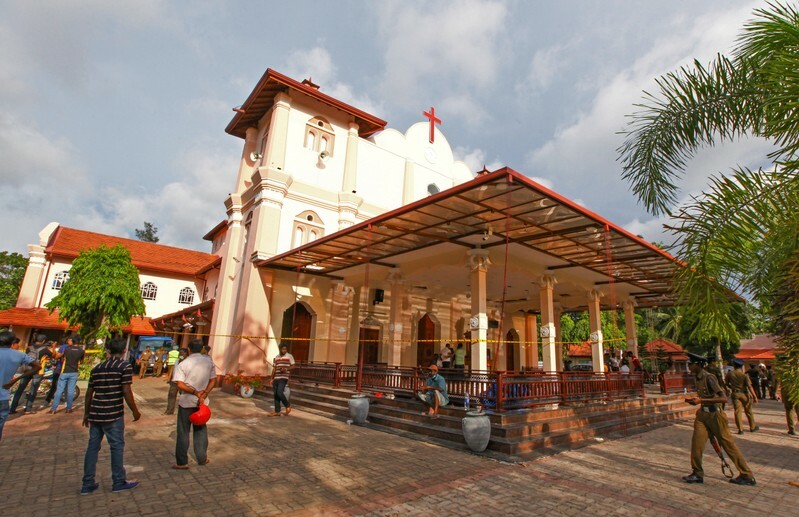 Police spokesman Ruwan Gunasekera declined to give a breakdown of those killed and wounded at each of the three churches and four hotels hit on Sunday, attacks that marked the most significant violence since a bloody civil war ended 10 years ago. 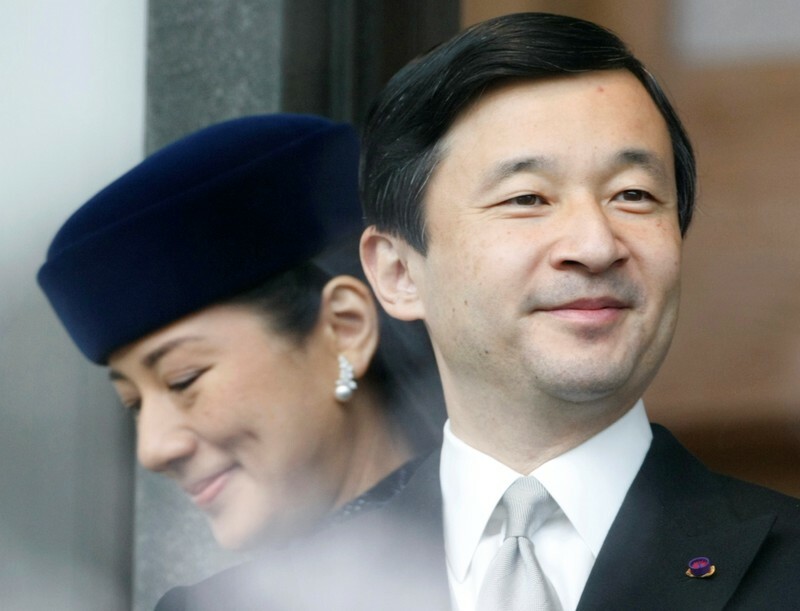 TOKYO (Reuters) – Crown Prince Naruhito, set to become Japan’s emperor on May 1, is known as an earnest, studious man who wooed and won his ex-diplomat wife, Crown Princess Masako, with a pledge to protect her. Naruhito, 59, will not only be the first Japanese emperor born after World War Two and the first to be raised solely by his parents, but also the first to graduate from a university and pursue advanced studies overseas. He will assume the throne after his father, Emperor Akihito, abdicates on April 30, the first Japanese emperor to do so in nearly 200 years. 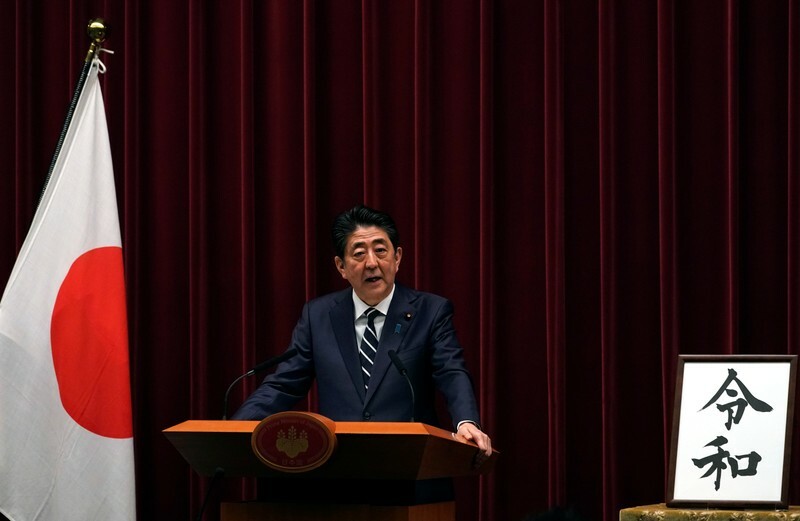 “When I think of what is coming up, I feel very solemn,” Naruhito said at his birthday news conference in February. Naruhito, the eldest of three children, was cared for by his mother, Empress Michiko, instead of being raised by wet nurses and tutors. She even sent him to school with homemade lunches as part of parental efforts to make the royal family seem closer to the people. A student of medieval European river transport, Naruhito spent two years at Oxford University, a time he has described as some of the best years of his life. Described by some as having a “playful” side, Naruhito posed for selfies with bystanders while visiting Denmark several years ago. Naruhito defied palace officials to marry Masako Owada, now 55, after she caught his eye at a concert, prompting a years-long courtship during which she rejected his early proposals. In late 2003, about a decade after their wedding, she largely disappeared from public view, the start of a long struggle with what palace officials termed an “adjustment disorder” brought on by the strains of palace life and demands she bear a male heir. In recent years her public appearances have increased. At one point, Naruhito shocked the nation with his passionate defense of his wife, saying she had “totally exhausted herself” trying to adjust and that there had been moves to “negate her career and her personality.” His blunt remarks drew a rebuke from his younger brother and sorrowful remarks from the emperor. Unique in becoming the first Japanese emperor in modern times to not to have a son, Naruhito has been devoted to his daughter Aiko, now 17, and has advocated for men becoming more hands-on fathers – still uncommon in conservative Japan. Naruhito, who espouses environmental causes, has taken part in international conferences on clean water and in 2015 made remarks at a U.N.-linked advisory board on water and sanitation. He has implied that he could work on climate change as well. Masako has repeatedly said she is concerned about children in difficult situations, including those who are abused or live in poverty in Japan. 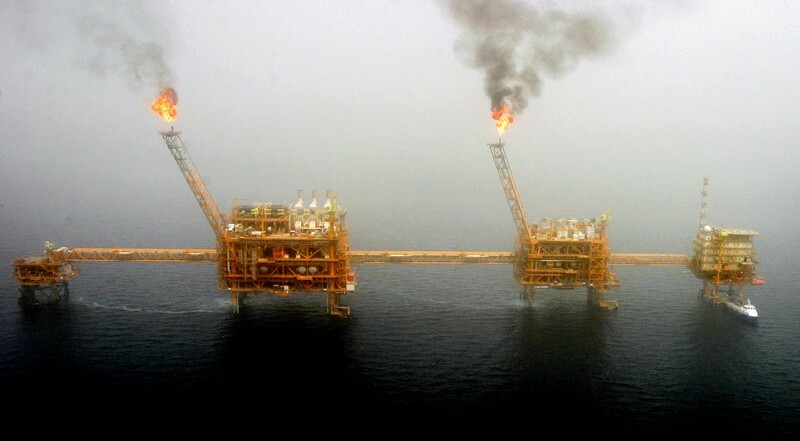 WASHINGTON (Reuters) – The United States is preparing to announce on Monday that all importers of Iranian oil will have to end their imports shortly or be subject to U.S. sanctions, the Washington Post reported on Sunday. 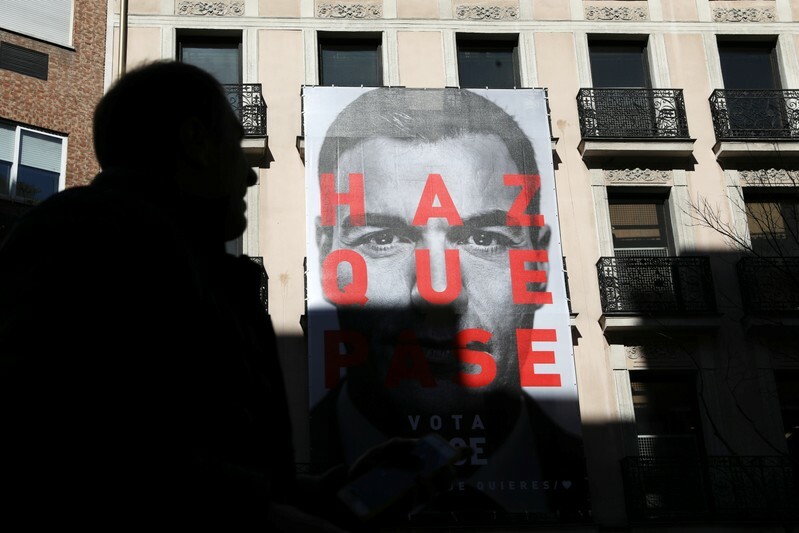 MADRID (Reuters) – Spain’s Socialists increased their lead in a poll published on Monday in newspaper ABC that gave them 31.5 percent of votes, but fell short of a majority ahead of a general election on April 28. It is the third poll in two days that shows the Socialists expanding their advantage, and forecasting that a coalition of three right-wing parties – People’s Party (PP), Ciudadanos and far-right Vox – would not get enough seats to form a parliamentary majority. Socialist Pedro Sanchez could be reelected as prime minister if he forms a coalition with the support of at least two of the array of parties – far-left Podemos and a Catalan pro-independence group – that backed him last June when he won a vote of confidence against PP’s government at the time, according to the ABC poll. But it also showed that 33 percent of voters have not decided who they will vote for next Sunday. The Socialists would have between 134 and 139 seats in the 350-seat parliament, gaining up to 54 new seats from the previous election in 2016. Sanchez’s support increased by 0.2 percent from a previous poll published by the same newspaper on April 16, and by five points from a poll last January. The second most voted party would be PP, with 20.1 percent of support, 0.8 percent less than in the previous week poll. The main conservative party would have between 81 and 86 seats in parliament, losing up to 56 from the last election. Ciudadanos would receive 13.9 percent of votes, equivalent to 42 to 44 seats, above the 32 that they currently have. Newcomer Vox would be the fourth party in seats (30 to 32) but, with 11.4 percent of votes, would be below anti-austerity Podemos, which would receive 12.1% of support but that would translate in a smaller amount of parliamentary seats (27). Vox’s support fell by 0.4 percent from the April 16 poll, but it would still be the first time in almost four decades that an extreme-right party enters the Spanish parliament. A coalition of PP, Ciudadanos and Vox would get 45.4 percent of votes, equivalent to between 153 and 162 seats, but this would also be short of the 176 seats needed to secure a parliamentary majority. The poll was conducted by GAD3 with 10,000 interviews between April 1 and 19. The margin of error was of 1 percent. 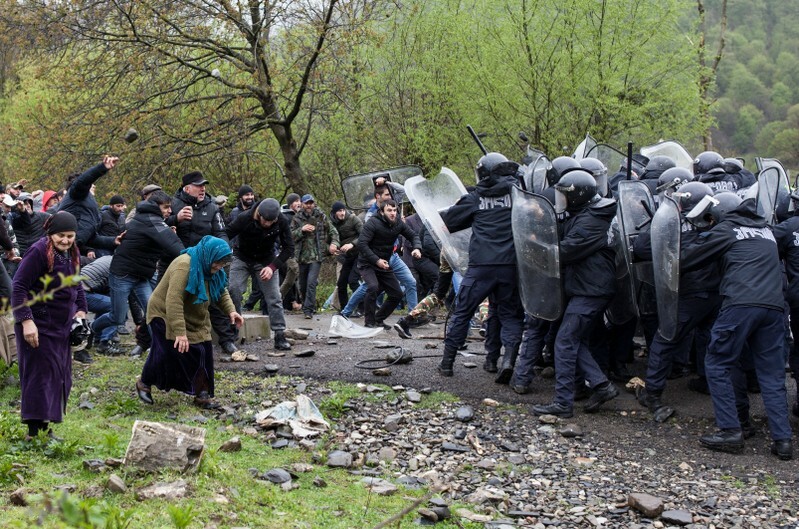 TBILISI (Reuters) – Georgian police used tear gas and rubber bullets on Sunday to break up a protest by residents of a mountainous region against the construction of a hydropower plant, the independent Rustavi-2 TV station reported. Around 300 residents of the Pankisi gorge gathered near the village of Birkiani to protest against the planned plant, saying it could damage the environment and force them to leave their homes. Some threw stones at the police, Rustavi-2 reported. The TV station showed several residents with minor injuries from rubber bullets and said some police officers were also hurt. Interior ministry officials and a spokeswoman were not immediately available to comment. 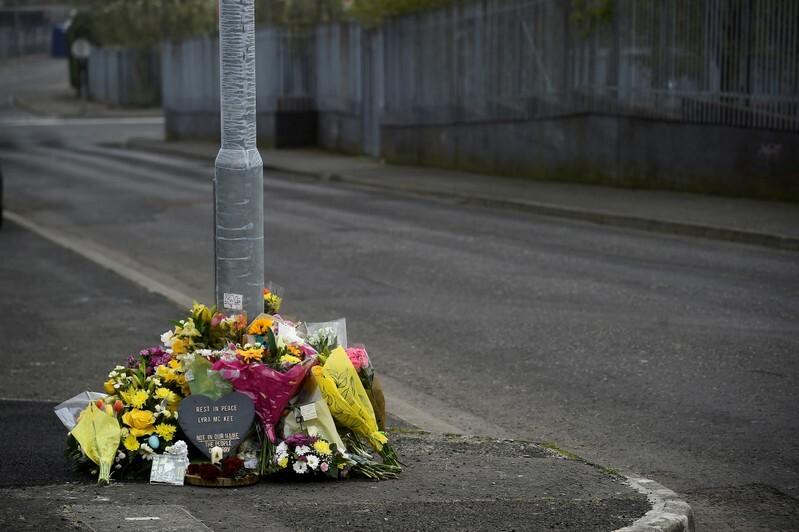 Lyra McKee, 29, an award-winning journalist who was writing a book on the disappearance of young people during decades of violence in Northern Ireland, was shot dead on Thursday as she watched Irish nationalist youths attack police following a raid. “Two males, aged 18 and 19 … have been released without charge,” the Police Service of Northern Ireland said in a statement. 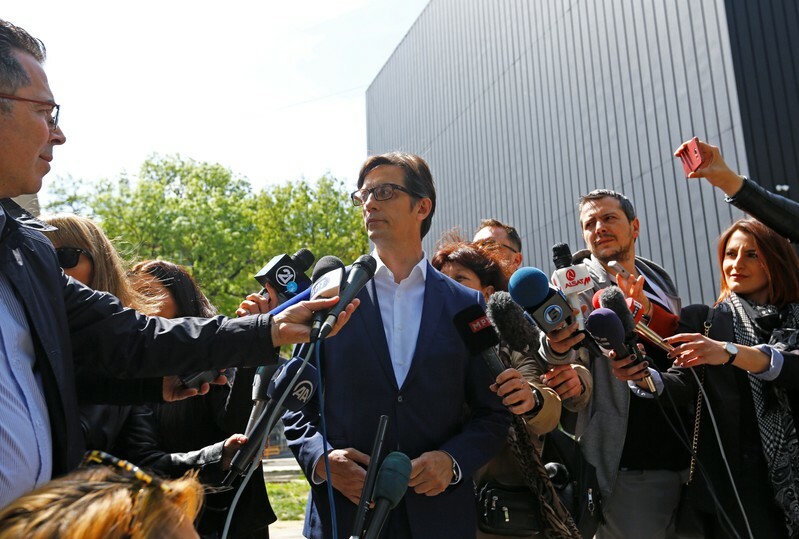 SKOPJE (Reuters) – Early results of a presidential election in North Macedonia showed pro-Western candidate Stevo Pendarovski in first place, with 45 percent of the vote, the Central Election Commission website showed on Sunday. His main rival, opposition candidate Gordana Siljanovska-Davkova, was in second place with 41 percent of the votes, preliminary results showed, based on 57 percent of ballots counted. Blerim Reka, candidate of the second largest Albanian party Besa came third with 11.7 percent of the votes counted. Pendarovski and Siljanovska-Davkova will face a run-off on May 5. Police said the number of arrests in connection with the protests rose to 831 on Sunday, and 40 people had been charged with offences such as obstructing a highway and obstructing the police. Thunberg, a 16-year-old student, spoke to hundreds of activists at Marble Arch, one of a number of London landmarks that have been brought to a standstill over seven days of direct action. Police were allowing the protest to continue at the site. 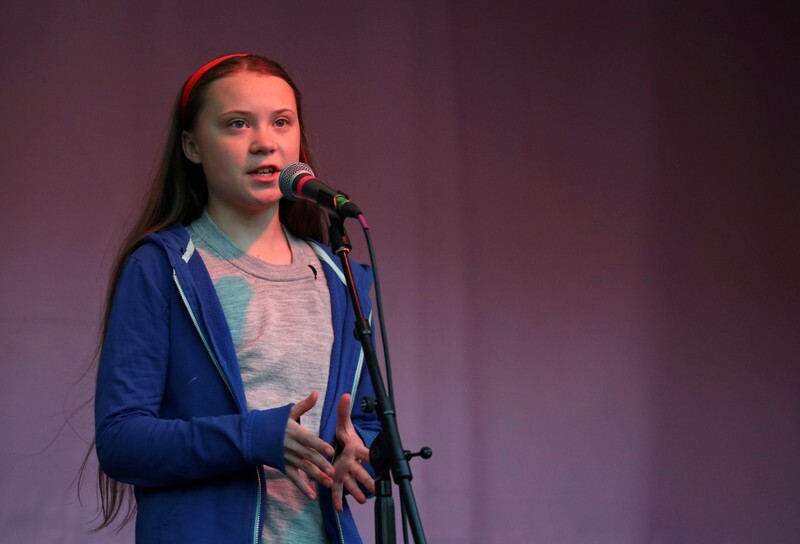 “We are the ones making a difference – we the people in Extinction Rebellion and the children’s School Strike for the Climate – we are the ones making a difference,” she told cheering crowds. Thunberg inspired a movement of children against global warming when she took a stand in front of Stockholm’s Parliament House last August with her “school strike for climate” sign. London police said they had moved protesters from roads around Oxford Circus, Piccadilly Circus and Parliament Square, and they were working to re-open Waterloo Bridge.